Then PromoCatalog is the right solution for you. PromoCatalog is entirely based on the WordPress technology. PromoCatalog is more than user-friendly. You can easily design each page exactly the way you want. In addition, the products of 120 leading suppliers have already been integrated for you. News messages from your suppliers about for instance new products are automatically transfered to your blog system and are ready for you to be adjusted with your own words. With the press of a button you can publish these messages on your own website under the menu heading ‘news’. PromoCatalog from Promidata is entirely based on the user-friendly WordPress technology. 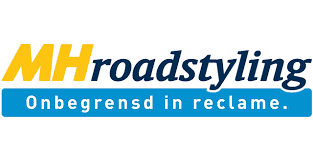 PromoCatalog is linked with Promidata Portal so that there are immediately already thousands of products on your website. You can choose which suppliers you want to work with. So that only the products of these suppliers appear on your website. The news messages that suppliers send to the Promidata Portal are automatically transfered to your WordPress envirionment as blogs-items. These news-blogs including images can then be altered in your own words. With the press of a button you can publish these messages on your own website under the menu heading ‘news’. Re-writing these type of news messages with your own words stimulates your SEO enormously. Google rewards you when you write news items in your own words. Google does not like duplicate content, therefore it is always better to rewrite your news messages in your own words. We help you personalize this Promidata WordPress distribution, so that you quickly have your own website online with your own house-style. 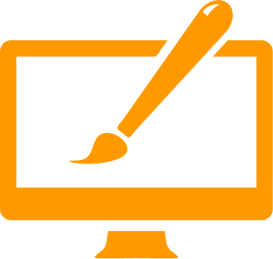 We arrange the hosting for you and we help you during the initial period when you are getting started with your new website. Every page, every paragraph, and every image can be quickly adjusted by clicking the edit button. New pages can be created in a snap. In the back office you recognize every part that is on your website. So, you always see where you are. When you move your mouse over such a part, icons will appear with which you can change, duplicate or delete that part. Your customers can indicate which color, which editing options, which logo, which delivery date, what quantity, etc. Before you actually publish, you can look at the web page you have changed. Each type of element has its own specific properties. You can customize each element without having any programming knowledge. The great thing is that you can actually get everything done without having programming knowledge. This is possible by using the many ‘editing’ elements. You simply drag a ‘editing’ element into your website and you can immediately start working on it. There are elements for quickly creating a grid in which you can then drag the separate text elements or image elements. You can then open these elements again to change their contents. Creating and customizing your web pages within PromoCatalog is very intuitive. You will notice that you can start immediately without reading a manual. These messages are written by your suppliers and are automatically uploaded as WordPress blogs to your website. We advice you to edit these messages yourself before you publish them to your own website. Of course you can also write your own news posts. Google will always reward that. 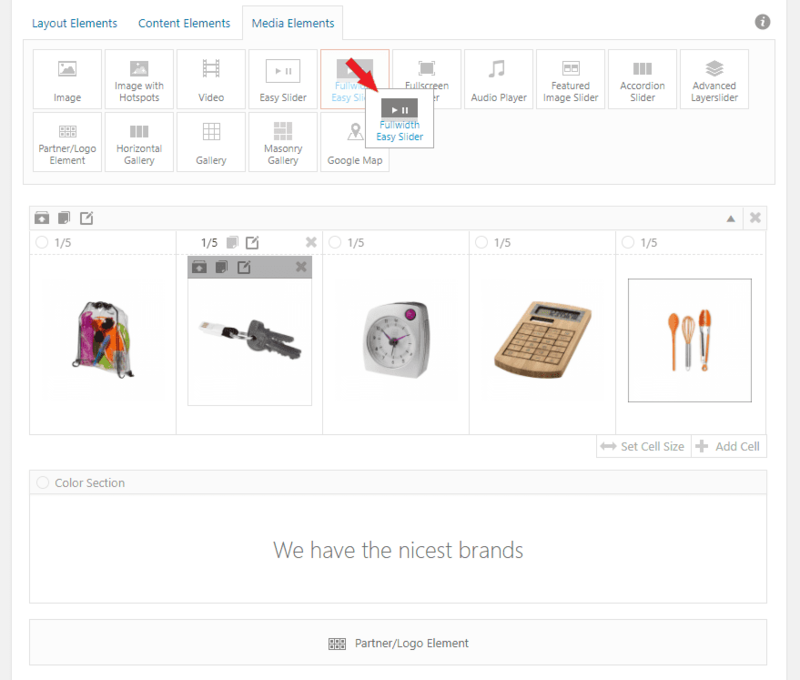 Layout 5, Promidata Portal’s popular online product catalog profile, is seamlessly integrated into PromoCatalog. Of course you can decide with which suppliers you want to work. Only the products of the by you selected suppliers will be visible on your website. The PromoCatalog subscription comes with a free access to Promidata Portal in connection with being able to modify your online product catalog profiles. Both PromoCatalog and LAYOUT 5 are optimized for iphones and other mobile devices. You can open LAYOUT 5 from various places within your website with only the products of from certain category. This enables you to create several category buttons with nice images underneath. 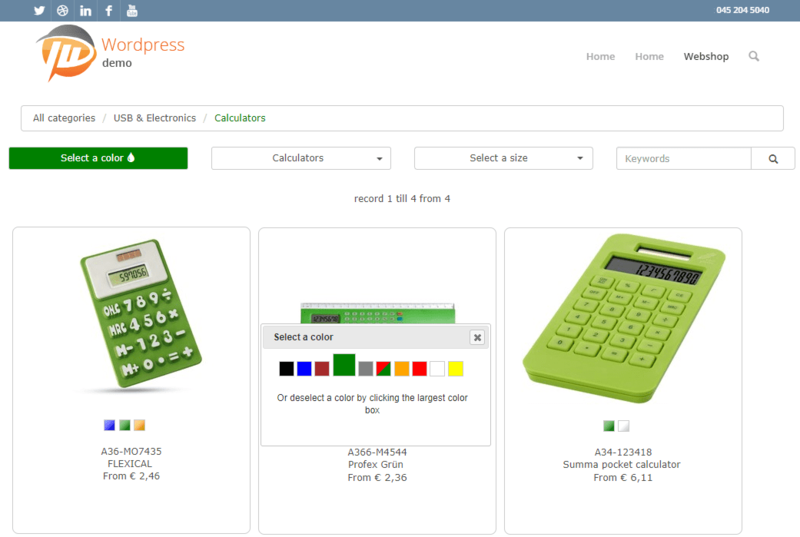 This way you can create for instance a “calculator” button. 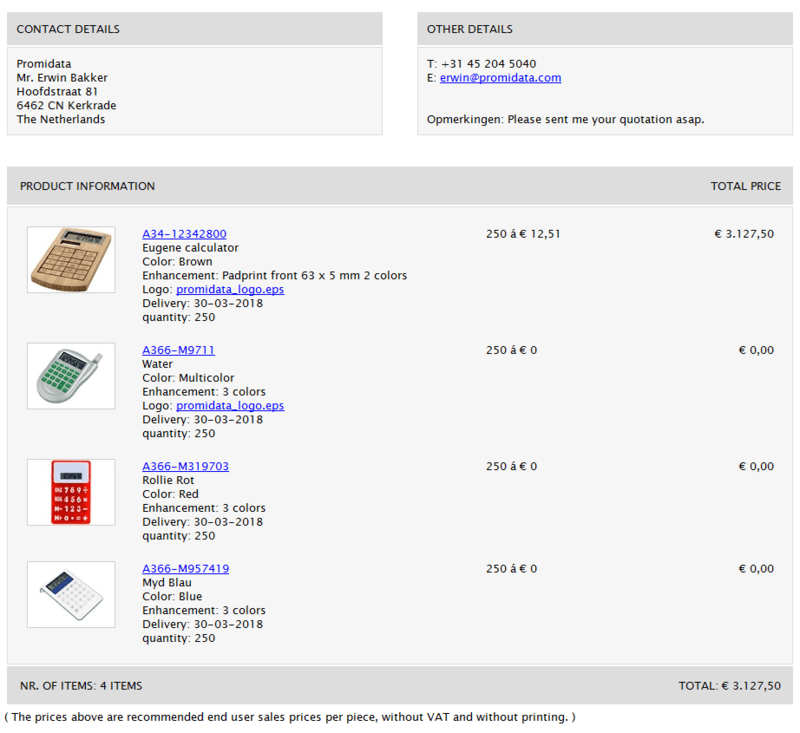 LAYOUT 5 will open itself with all the calculator products out of that concerning category when your customer would click on this button. 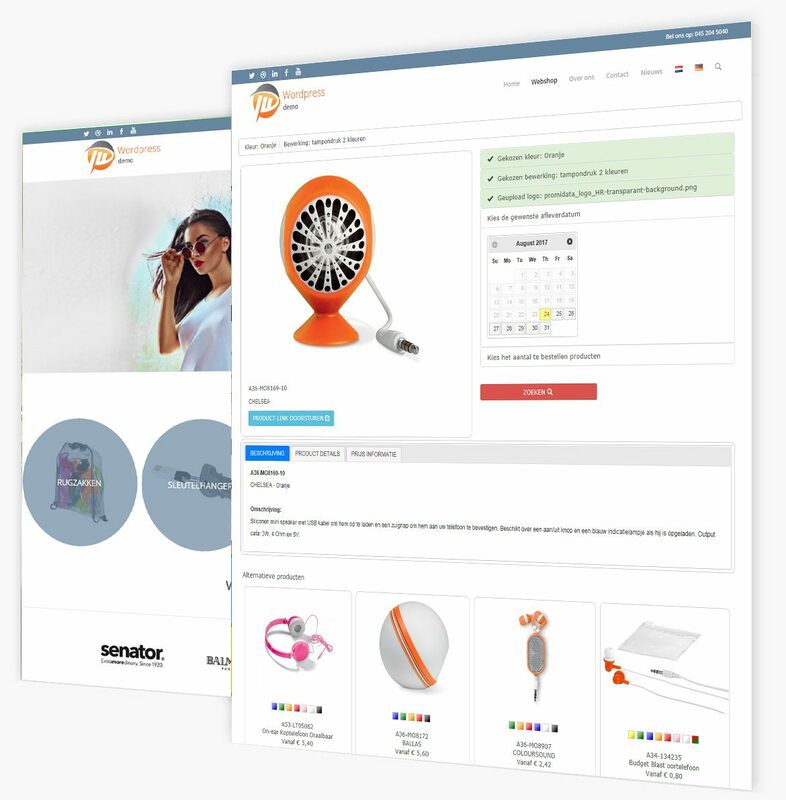 With PromoCatalog together with the integrated Layout 5 profile, you enable your customers to easily search for products in the huge assortment. Your customers can send you a quotation-request directly from your website. Your customer receives a neat confirmation copy of this quotation request. 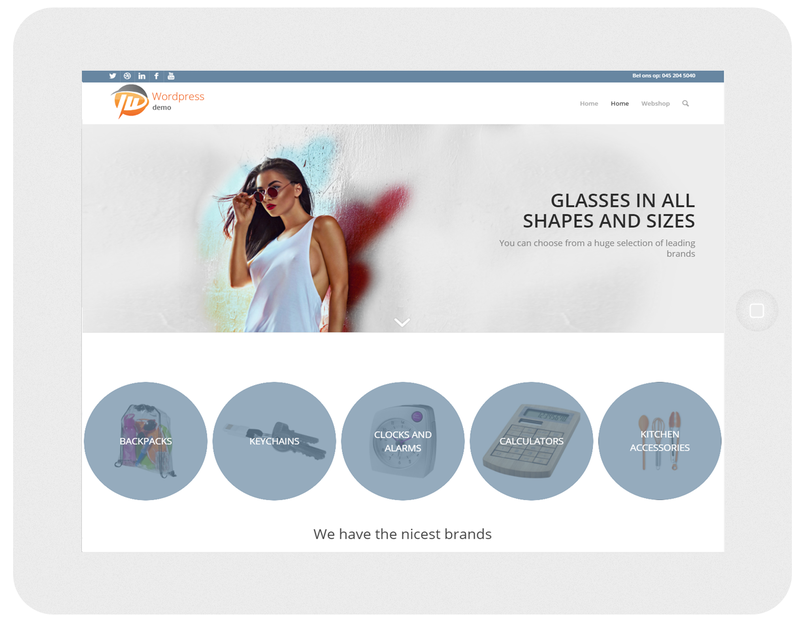 Responsive for all mobile devices such as mobile telephones, tablets, etc ….